The 'Silure' is now a well established and widespread species in France. Although occasionally persecuted, most French anglers will return their catches and they are a popular sporting quarry for many. The increase in their popularity has also seen several specialist catfish groups spring up and there are many catfish forums. Most UK based anglers wetting their lines in France for the first time will be fishing in lakes, many of them English owned carp waters. Many of these lakes offer exceptional catfishing and whilst the Group cannot recommend specific businesses, some of the better ones advertise with us. 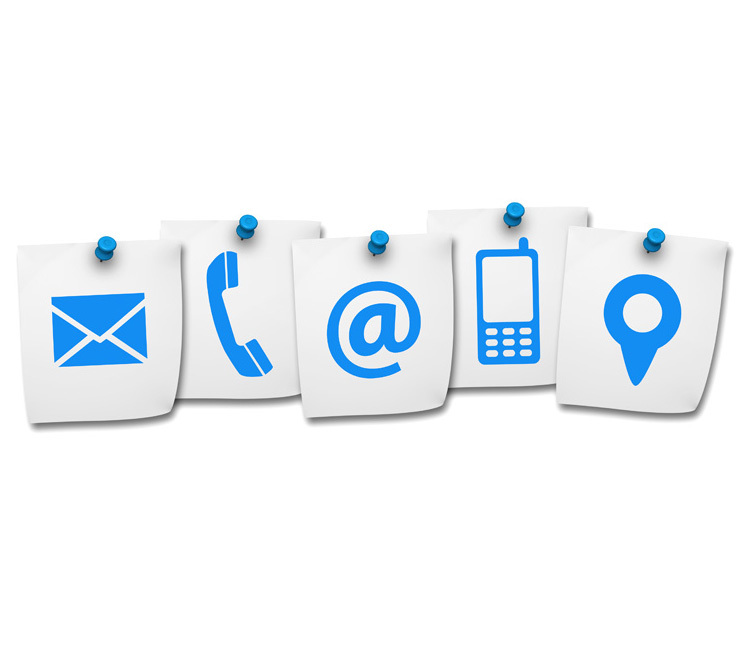 A quick look in the Links section of this site could be a useful place to start. Check also adverts in carp fishing magazines and of course good old Google! 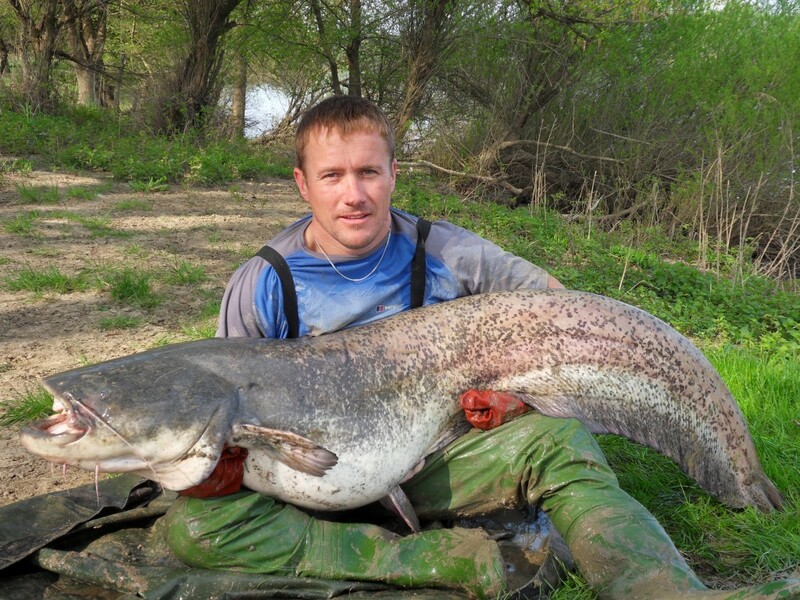 There is now barely a river system in France without a viable population of catfish, many of these have been established for years such as the Rhone, The Saone, The Garonne System and the Seine. 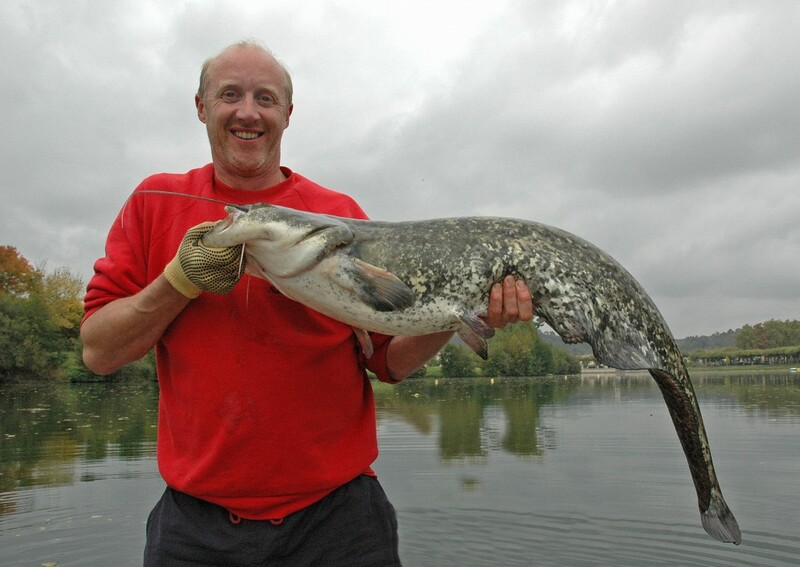 But even the more 'recent' waters such as the Loire, The Cher, The Vienne and the Yonne now offer some fantastic catting for the more intrepid angler. There are plenty more too - don't ignore the potential of anywhere! There are some good guides in France and these are strictly monitored. Fishing guides in France are highly trained and earn national qualifications - it is illegal to guide anglers without these qualifications. Whilst it would be impossible to give an in depth guide to every cat river in France, the following information will offer some help to those considering trips. Most of the information about licensing applies to the whole country although there will be some regional variation on occasion and you could possibly require more than one permit if you are travelling widely. Just like in the UK you need a license to fish the French rivers and public lakes. This is called a Carte De Peche and can be bought from any local tabac, tackle shops even the local baker sells them in some villages. More recently you can now buy one on-line before you travel which is a good idea if your time of travel means you will arrive at the river really early or late when shops will be closed. Buying on-line does alert the local Guard De Peche (River Police) to your presence and means you are likely to get a visit from them at some point during your stay. You have been warned! Another improvement to the service is that you can now purchase a holiday license all year round, in previous years this was just restricted to the months of July and August, the main holiday season. This makes it much cheaper and at the time of writing the Carte De Peche that covers the Saone for example is €30 for a 7 day license. This is much cheaper than having to buy an annual license though you might want to consider this if you plan a few trips within the same year. It’s worth noting (in relation to the River Saone at least) that during its length the river crosses several departments and so it’s wise to plan which area’s you intend to fish in advance as you may need more than one license. The website is www.cartdepeche.fr If you are intending to fish across the country on a variety of waters, you now buy a carte with the club Halieutique which lets you fish almost all of the departments in France, in 2014, this cost 90 Euros. Most departments in France don’t allow night fishing on public waters, unless it’s a specific night fishing zone. These zones are aimed at carp fishing and catfishing technically is not allowed. The use of fish baits live or dead (whilst fishing in the night zones) is generally forbidden. Live baiting is only allowed from the middle of May during the French pike fishing season and during this window you can purchase good quality live baits from most tackle shops, even the large sports retailer Decathlon sell them in larger towns. 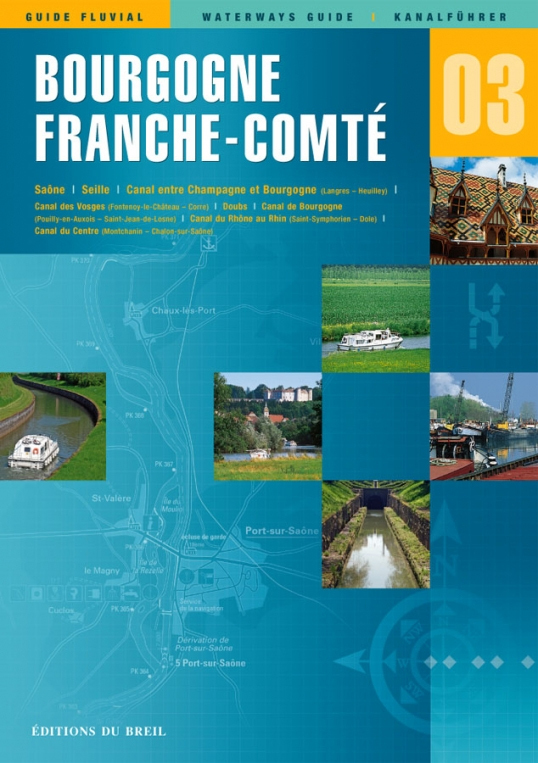 It’s a good idea to purchase a copy of the Editions De Breil, which is an in depth guide of the various French river and canal systems. Map no. 3 covers most of the Saone and its tributaries you will be interested in and offer great information on locations of slipways, camp sites, service area’s so you can grab a shower, bread and fresh water but from an angling point of view it shows the deep channels, shallow bars, bends, Islands all of which are great spots to focus on. Even if you’re not boat fishing it’s still wise to invest in one of these excellent publications as they show the access tracks that run down to and along the river in a much larger scales that any roadmap does. It’s also worth checking out the mandatory safety equipment required on your boat before travelling, but you will need life jackets, navigation lights, anchors, fire extinguisher, flares, fog horn as a minimum. If you are stopped by a VNF patrol you could be in trouble if not carrying this equipment and passage through any lochs or barrages will almost certainly see your boat inspected to some degree. So you’ve bought your licenses and loaded the car to breaking point with tackle, where are you going to fish? 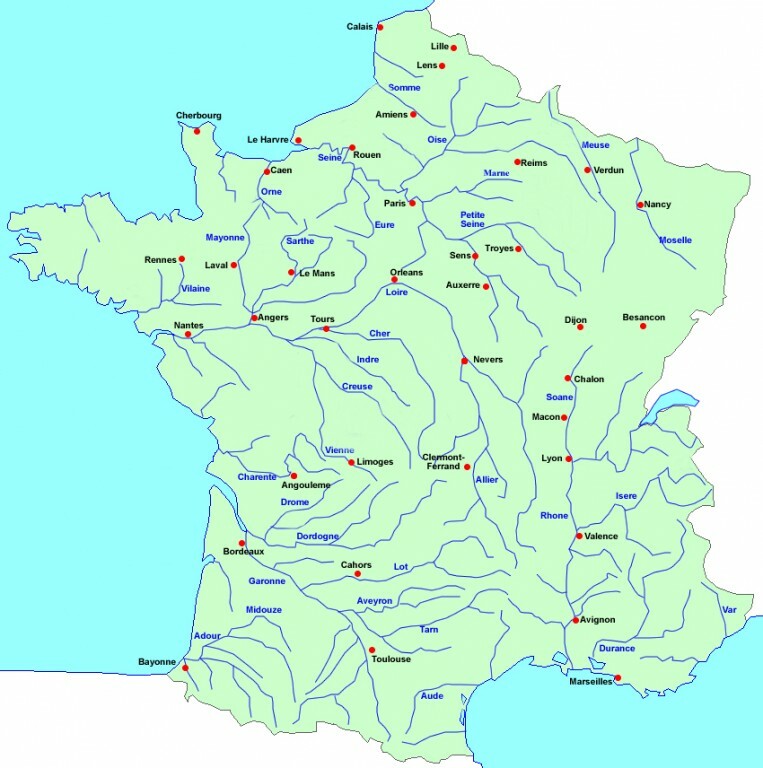 For most CCG members who head to France the likely destination will be the River Saone and its tributaries the Seille and the Doubs. This is perhaps now the most well known of all the French catfish rivers. The Group had a couple of organised trips to the Seille way back in the 80's (with only limited success, it has to be said!) before a small bunch of pioneering members led by Kevin Maddocks, Bob Baldock and Keith Lambert finally turned to (what appeared to them at the time) 'The Mighty Saone'! 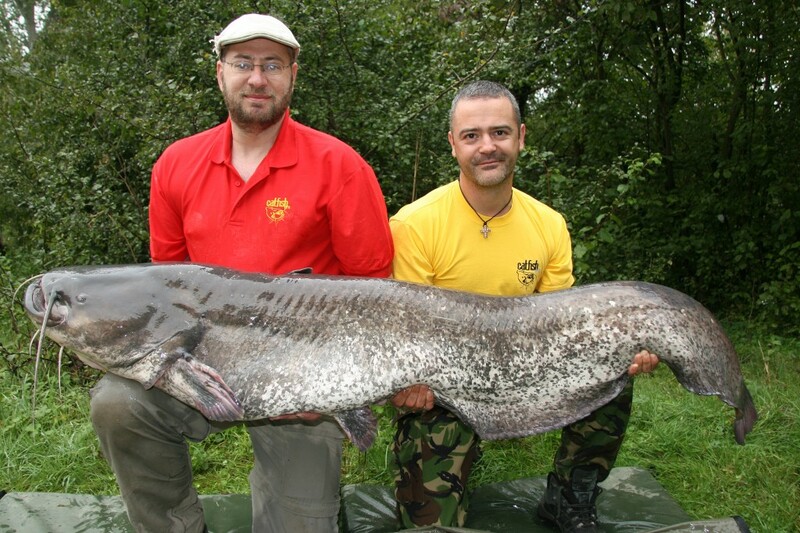 Their early successes were well publicised and once it was seen what was possible in terms of catching catfish in huge continental rivers, more anglers followed and the river established itself as one of France's premier cat venues. The river rises in Vioménil, making its way through some truly stunning French countryside before giving way to the River Rhone some 298 miles further south, at Lyon. The river offers over 150 miles of good quality catfishing between Grays and Lyon and so do many of its tributaries. Bank access is excellent throughout its length and for the boat owners amongst you there are many slipways most of which are free to use and of excellent standard. Although you can catch catfish further up the Saone than Gray, this marks the start of our journey down the Saone to Lyon. Just outside the town of Gray itself, is an area fished by locals for catfish where an old rail bridge spans the river. Fishing in the shadow of these bridges is a good area and many catfish are taken from here each season. 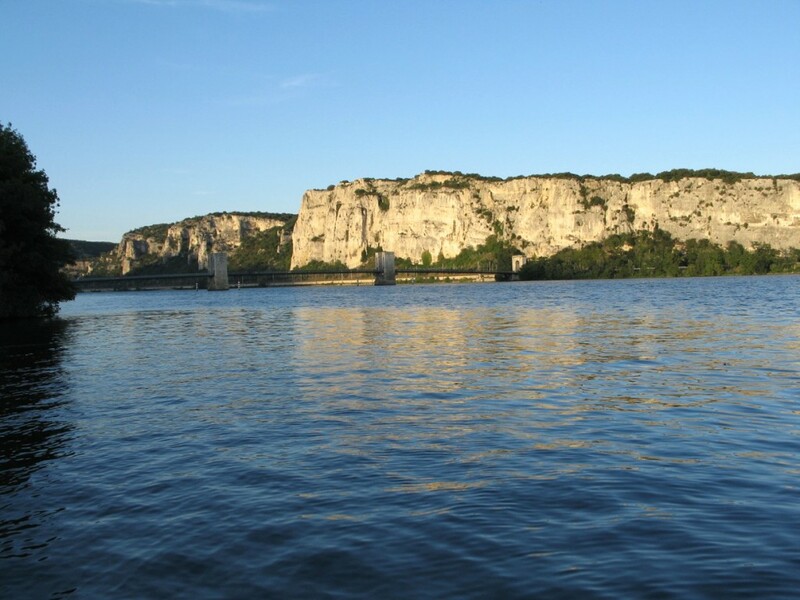 Other area’s to look at are close to the towns of Apremont, Heuilly Sur Saone where there are several interesting canal and loch cuttings and Pontallier Sur Saone. Bank access is good all-around these areas. 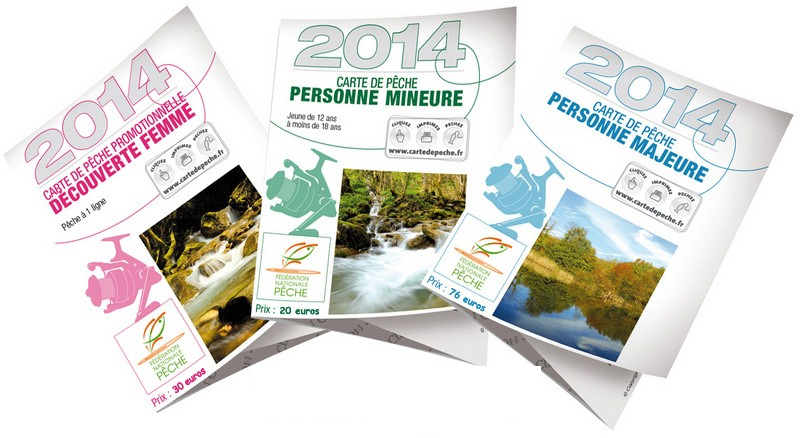 As you travel further south the River Ognon is the first tributary of real interest to cat anglers. This is a fantastic looking river, though access is not great. The banks are very steep and heavily overgrown. If you can find some access then this is a really exciting venue, it regularly turns up fish over 100lb though mainly to boat angler’s clonking and drifting with live baits. A river that doesn’t get much attention from UK anglers, the last five miles before entering the Saone are where you stand a better chance of success. Continuing the journey we soon arrive at Verdun Sur Le Doubs, a nice little town with three or four tackle shops for you to stock up on essentials or buy licenses from. Here is where another fine but difficult tributary enters the Saone, The River Doubs. The Doubs in normal conditions is much faster and colder than the Saone and during high summer can be much more productive, but like the Ognon bank access is not great and the few areas where there is access tend to get heavily fished. Areas to look at are Pontoux, Saunieres / Sermesse but it’s worth spending time reccy-ing the lower parts of the river as many little farm tracks lead to hidden swims you would never know where there. Again locals tend to attack it from boats and this river has real pedigree with fish close to 200lb (2m) being taken in recent years. Verdun itself offers boat access with at least two good slipways one of which is within a campsite so is a good base for a trip. Below Verdun you are now entering catfish alley, there is some really good quality fishing to be had right through to its confluence with the Rhone at Lyon. Notable area’s to try Sassenay, Allerey Sur Saone, Ormes, Chalon where the deep water near the dock area’s once produced a French record fish, Uchizy which made famous in the late 90s by Luke Moffatt and Pont De Vaux, Saint Albain, and the City of Macon to name just a few. There are decent tracks that run almost down the entirety of the river here and French farmers are unlike their UK equivalents in that they are happy for you to set up camp on their land as long as you respect it, don’t light fires or leave litter. Keep your vehicles off the main track so you don’t cause them problems with access and you will be welcomed. 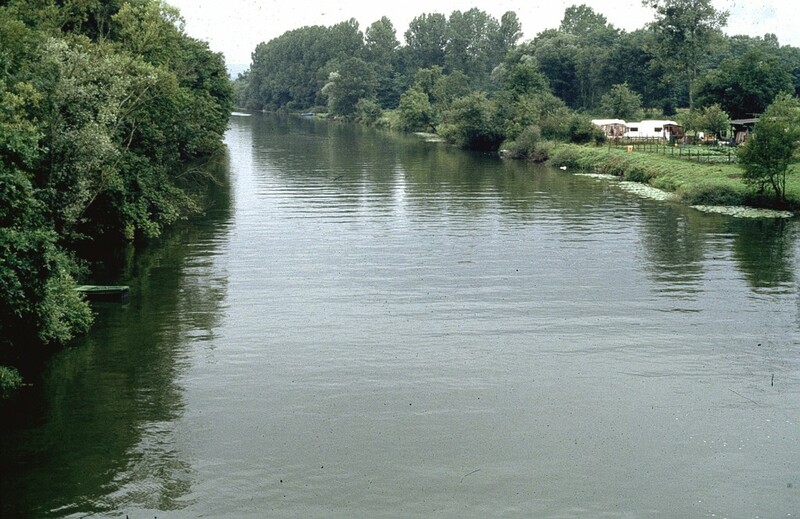 The River Seille (pictured left) is another major tributary that holds a good head of catfish, entering the river Saone at La Truchère close to Uchizy. 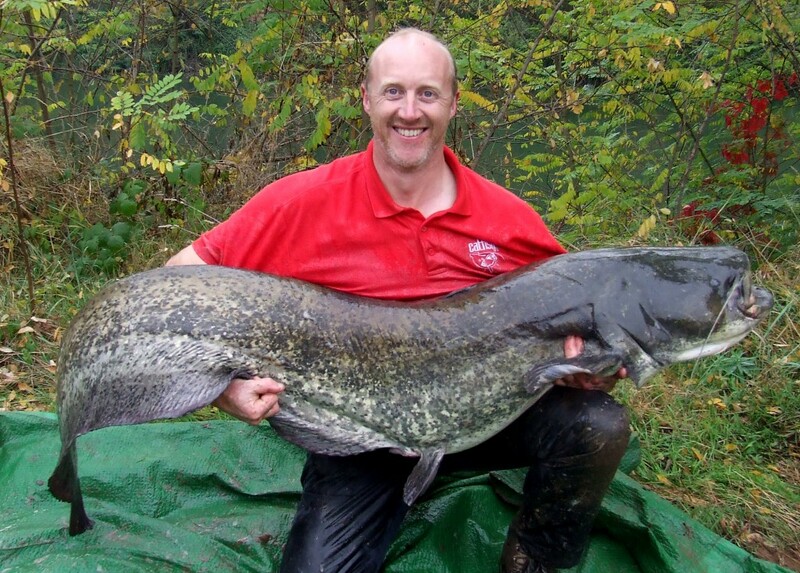 Once the home of the French record Silure (2.2m 145lb) it has a good history of producing quality catfish since the 1960s providing the now expected good bank and boat access with slipways at the few major villages that line its banks. Many CCG members have fished this river over the last 30 years and so it’s always worth searching and asking questions on the groups forum as you research and prepare for your trips. The River Saone joins the River Rhone at Lyon, but the Rhone from Lyon down to the Mediterranean is a very different river to the Saone with a much stronger current and an influx of colder water coming in from the upper Rhone after leaving Lac Leman in Switzerland (there is a population of catfish in this stretch of the river that needs looking into ! ). Most of the stretches between Lyon and the Mediterranean Sea have very poor bank access and thus the Rhone is a river where a boat is essential. On the up side of this, there are public slip ways ( often more than one) on every section, so putting a boat in the river is not a problem. Silure of 100lb plus are caught from the Rhone all the way down from Lyon and a fish of 200lb would not be a suprise between Lyon and the delta. 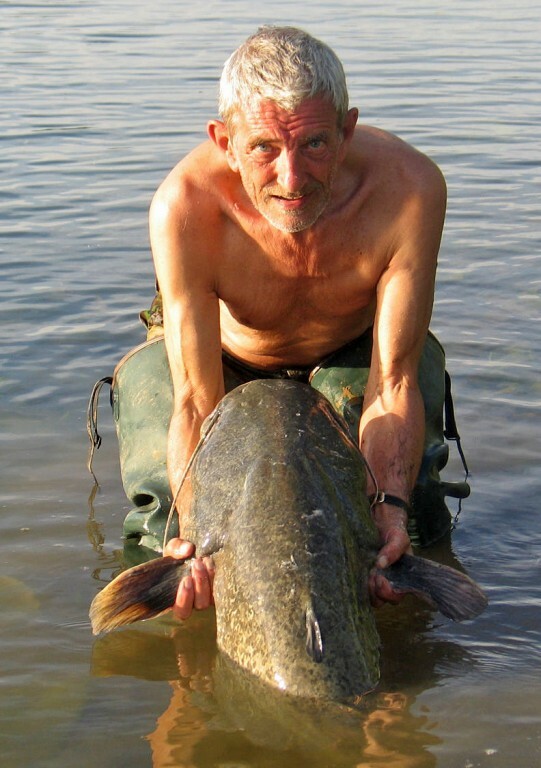 At the time of writing the departments of the Drome and Ardeche allow night fishing for carp on both banks of the Rhone, so fishing with fishy boilies and pellets might catch some catfish ! The best bank access in this area is from Tournon upstream to Vion. Further down the river, just north of Arles, a section of the Rhone splits off to form the Petit Rhone this flows down the west side of the famous Camargue whilst the 'Grand' Rhone takes the east side before spilling into the Mediterranean. Good catfish can be caught from both these arms of the river but once again, bank fishing is extremely limited. Rising in the Spanish Pyrenees, this huge river system flows for over 600Km before discharging into the Atlantic via the Gironde estuary. As far as catfishing is concerned the river is really only of interest North of Toulouse. The river here is really attractive and wild in places with only limited bank side access (as usual!). As it meanders in a north westerly direction towards Montauban there is some superb water with plenty of good catfish to be caught. Nice spots to try include, Grenade, Escatalens, Castelsarassin and Saint-Nicholas-de-La-Grave. Again, bank fishing is limited (especially away from towns and villages) and there are a limited amount of slipways. Good catting can be found anywhere here right into the large city of Bordeaux. The river from here on down to the estuary is largely untapped and offers superb peaceful catfishing for those willing to put in the time and effort. It is not easy fishing but the rewards are definitely there. 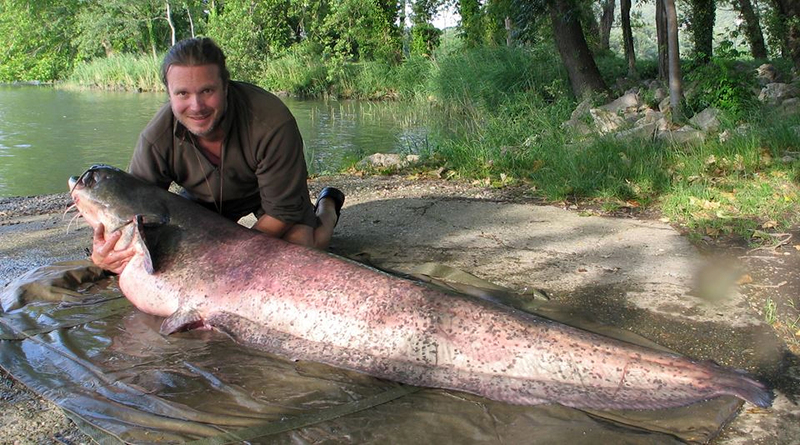 Close to Moissac, the Garonne is joined by one of France's catfishing jewels The Tarn and this river has a big head of catfish to enormous sizes. Heading upstream towards the famous wine making region of Gaillac will take you through some superb catfishing areas and almost anywhere is worth a try, again, a boat is really essential to get the most out of these stunning sections of river. From Gaillac, keep heading east and you will find yet more top catting around the large cathedral city of Albi although as always the areas well away from the towns offer more seclusion. Good catting can be found throughout this stretch of river even as far as the famous Tarn Gorge if you are feeling extra adventurous! The River Lot also flow into the Garonne and holds a decent head of catfish although this river is better known for its Carp fishing. Much of the Garonne and its tributaries are lightly fished for catfish and there is huge potential for exploration but you will need time, effort and a boat! Perhaps France's most well known river probably as it runs right through the centre of Paris. 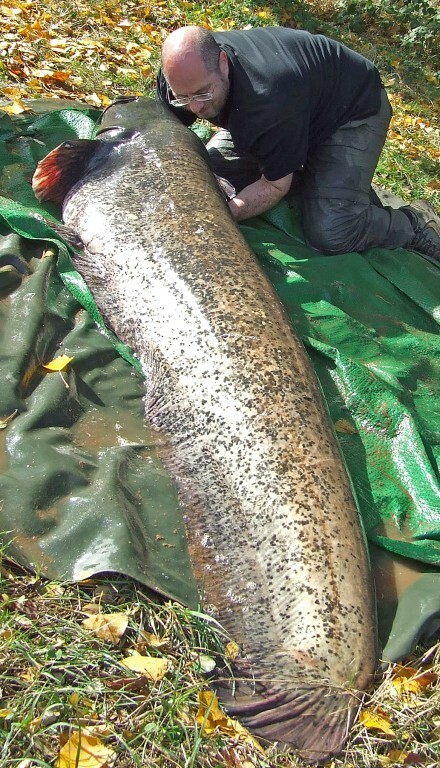 The catfish population in the Seine is enormous and cats can be caught virtually through its length although the Village of Nogent-Sur-Seine would be a good upstream starting point. Following the river downstream in the Department Seine et Marne the river meanders through dozens of little villages until it is joined at Montereau by the River Yonne, a beautiful slow moving river with lilies and overhanging trees. After Montereau, the river turns north west and heads for the city of Melun. There are some (carp fishing only) night zones along parts of the river here and the boat traffic can be reasonably heavy. 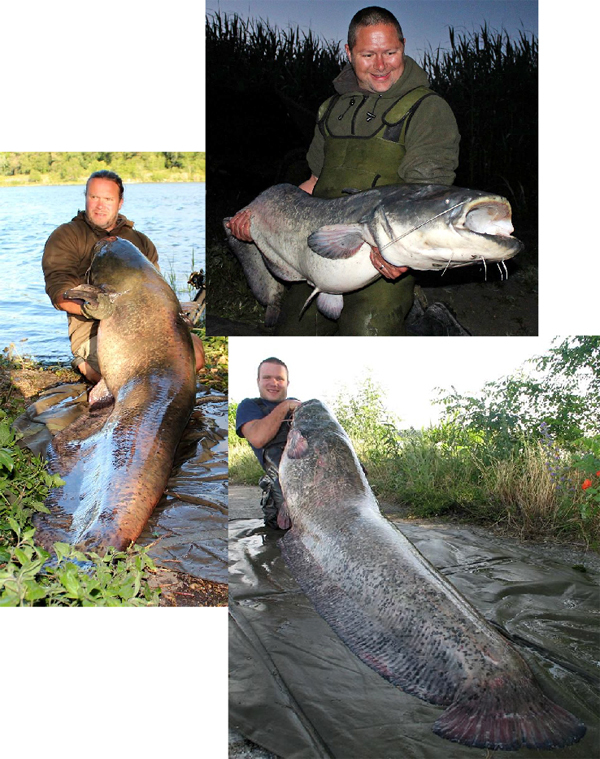 From Melun all the way through Paris for over 50Km you will find some of the best catting in France; not easy fishing but with catfish to more than 150lb it is crying out for proper investigation. Good catfish can be caught right in the centre of Paris and the internet is awash with videos of them being caught there in the shadows of some of the capitals famous landmarks - imagine that in London! North of Paris, Saint-Denis and Argenteuil have a good record for producing decent cats and anywhere is worth trying right up to Rouen - beyond there, who knows? but almost certainly yes!